Meeting minutes set for release at 2 p.m. Wednesday in Washington are unlikely to offer answers, but they may drop a few hints about how officials are thinking. At its Sept. 25-26 gathering, the policy-setting Federal Open Market Committee raised interest rates and scrapped its description of the monetary stance as “accommodative.” Since then, Chairman Jerome Powell and New York Fed President John Williams have each delivered public remarks multiple times, and their colleagues have popped up to speak from Michigan to Massachusetts. The flurry of Fed-speak has made it clear that officials still think policy is easy and are comfortable with continued gradual increases, but have yet to decide how high rates will ultimately climb. Now the minutes could flesh out what factors are informing their debate on the location of the neutral rate — a highly-uncertain dividing line between easy and tight money — and whether they should go above it. It’s been an eventful couple of weeks since the Fed last met: rates on longer-dated Treasury securities have risen, stock prices have taken a hit, a deal to update the North American Free Trade Agreement has been announced, and President Donald Trump unleashed a rash of comments criticizing the central bank’s rate increases. All of that activity, paired with the bevy of recent Fed speeches, could leave these minutes slightly out of date. Still, the notes could help to cut through some of the noise surrounding neutral rates. Powell and Williams, one of his key lieutenants, have been de-emphasizing the equilibrium rate, commonly called r-star. That’s because it’s difficult to estimate with precision. 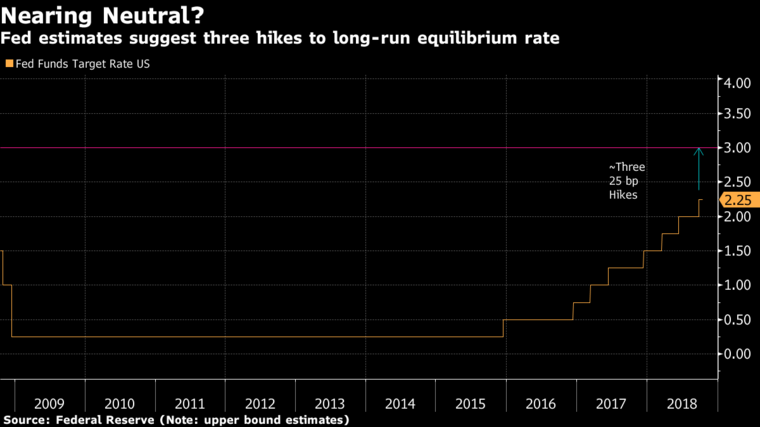 But abandoning some sort of long-run equilibrium estimate altogether is akin to hiking without a destination: officials regularly invoke r-star to give guidance on how high rates might rise and whether they’ll cool off the economy. Chicago Fed President Charles Evans said last week that policy may exceed his estimate of neutral — currently three rate hikes away — by 50 basis points, for example. Evans isn’t alone. 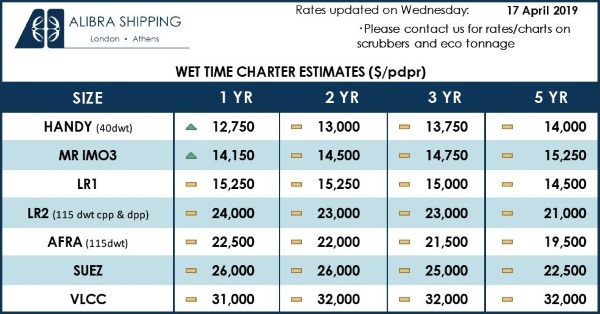 The central bank’s September economic projections suggest the median Fed official expects to exceed the long-run equilibrium rate by one quarter-point hike next year and another in 2020. 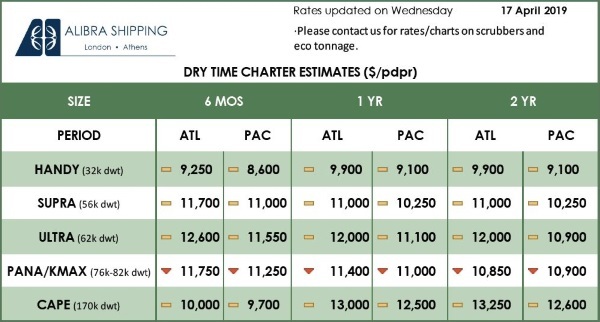 That didn’t mark much of a change from the prior dot-plot released in June, but minutes could shed light on officials’ reasons for favoring a slightly-restrictive stance. On a related note, Fed Governor Lael Brainard suggested in mid-September that fiscal stimulus could boost the near-term neutral rate, requiring higher rates to keep the economy on an even keel. Her logic might get some air time in the minutes. 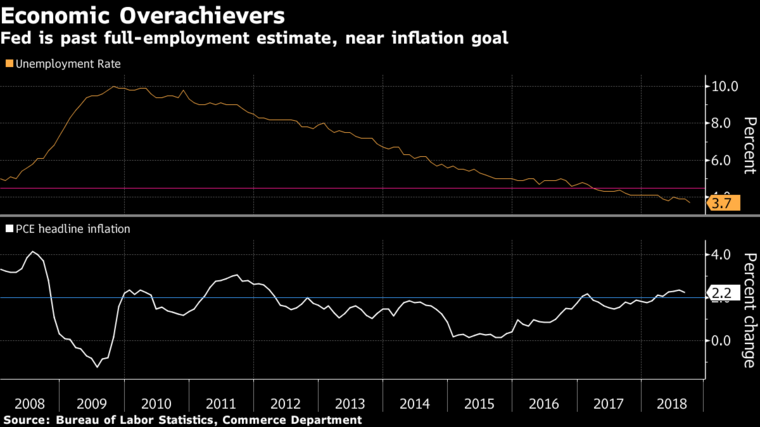 Fed officials have sounded pleased in recent speeches about getting close to their twin goals of maximum unemployment and low and stable inflation.